Sheriff's officials in Minnesota say a child is in custody after stealing a cement truck from a contractor and leading officers on a chase. 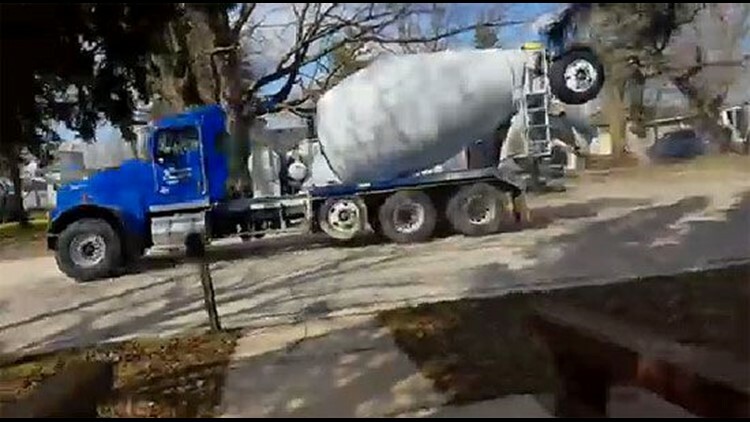 DODGE CENTER, Minn. (AP) — Sheriff's officials in Minnesota say a child is in custody after stealing a cement truck from a contractor and leading officers on a chase. Authorities say the chase started about 3 p.m. Sunday in Dodge Center when the juvenile drove the truck onto Highway 14 toward Byron. A State Patrol helicopter tracked the truck by air. Officers followed on the ground where speeds reached 65 to 70 mph. Two squad cars were damaged during the pursuit. The chase went on for about an hour before the juvenile was arrested at a dead end street. Sheriff's officials did not release the child's age.